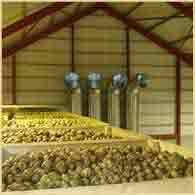 Your onions or potatoes: a step by step analysis starting from deciding when to harvest, right through to the final delivery to the consumer. Mechanising the harvest, post harvest processes, and crop rotation. Choosing not to rotate crops leads to lower yields. This entire website is dedicated to providing the information you need to reduce your production costs, from harvest to market, and at optimal conditions. You will be the envy of your colleagues. 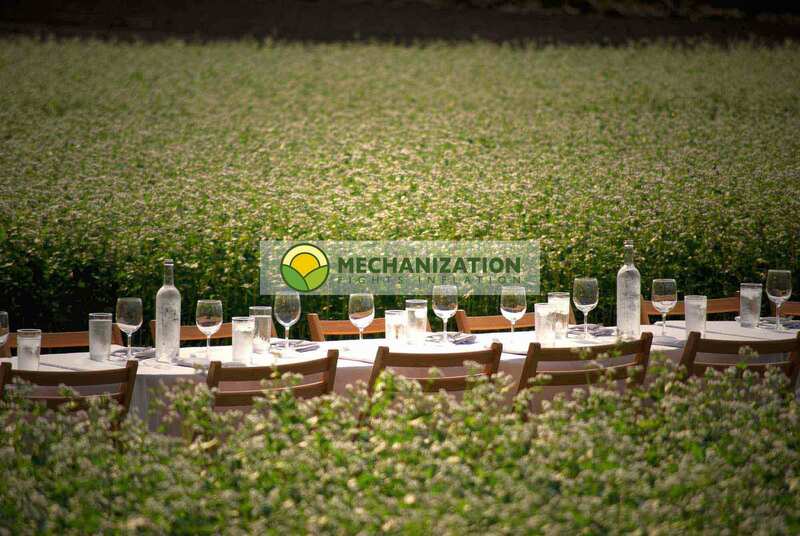 Your weapons of choice will be mechanising your harvest and post-harvest processes, and rotating your crops. You can find everything you need to know about crop rotation here: crop rotation, with an online tool, and free automated results: this means less fertilisers, less pesticides and higher production per hectare. Read about a perfectly executed manual harvest here. Harvest manual is an arduous and costly job. It requires a large workforce, some twenty people per day to harvest one hectare of potatoes, and even more to harvest onions, and that's not even including transport from the field to wherever the produce is prepared for market. With mechanisation, you can harvest one hectare in 70 minutes flat with just 4 workers loading the onions, potatoes or carrots onto the trailer to go to your facility, using the machinery seen here: Harvest machinery. The investment required to do so is not very high: for less than $60,000 we can send all of that machinery, including CIF (Cost, Insurance and Freight), to the port of your choice. Cost per kilogram of a mechanised harvest. However, if you want to mechanise your harvest and post-harvest processes, don't start with the harvest. Here's why: what do you do with 20,000-30,000 kg of onions per hour, if you don't have the facilities to handle and prepare them for market? Your client isn't interested in how you harvest them. They are interested in good quality produce which is well graded, clean, correctly weighed and packed, and looking good. See also: The importance of presentation. They are relying on you to deliver on time and deliver consistently, and that means constant availability (storage) for your clients. In other words, agricultural mechanisation (harvest and post-harvest!) starts with weighing and packing; if you start from here, the value of your produce increases right from the word go. If you start out with a weigher, packing machine and stitcher for bags with your logo on them, this will cost less than harvesting machinery, which will logically come along later on in the mechanisation process. It would be an honour for us to accompany you along every step of this journey towards mechanising your farm, installing it properly and logically. Read next: Setting up an installation to handle the manually harvested produce. Each step of the way, we will show you how to lower your production costs and add value to your product.